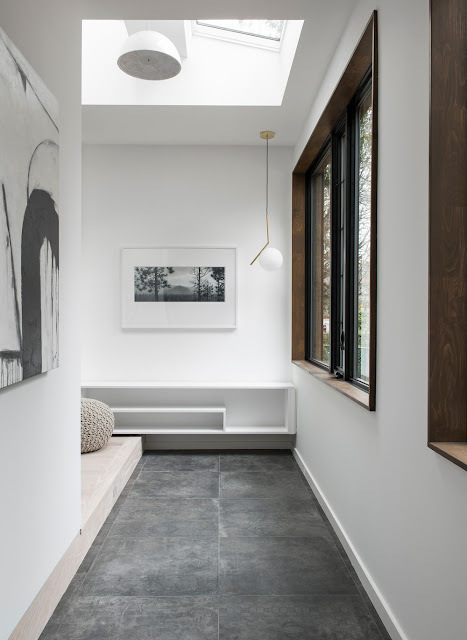 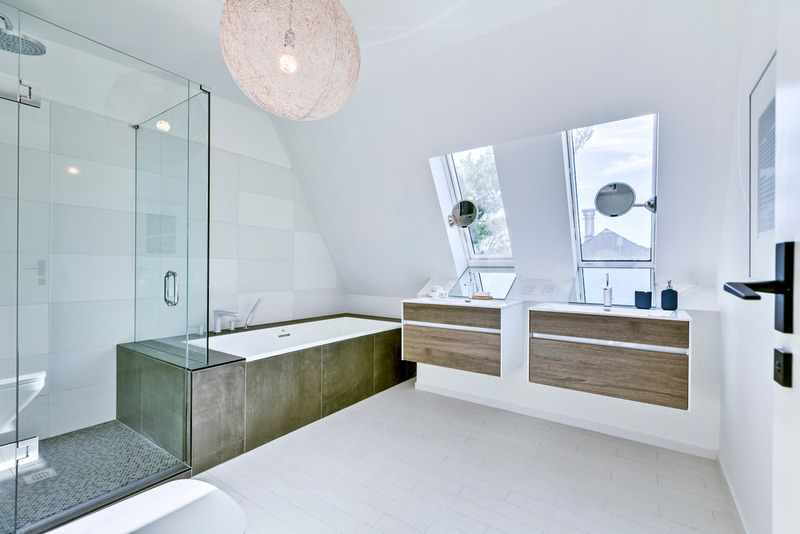 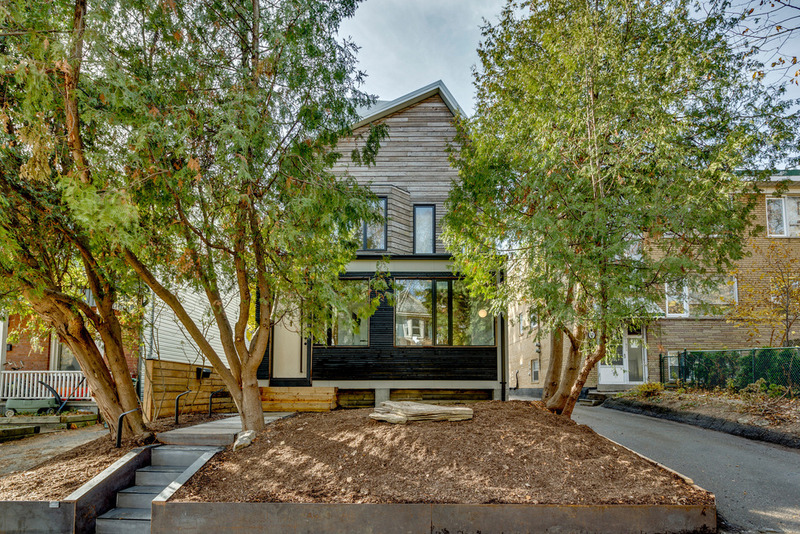 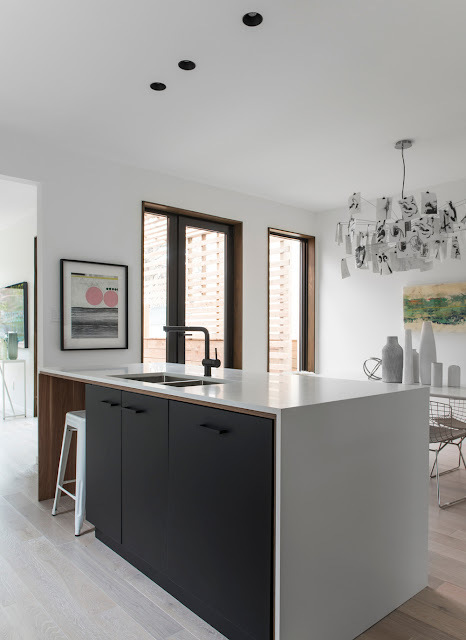 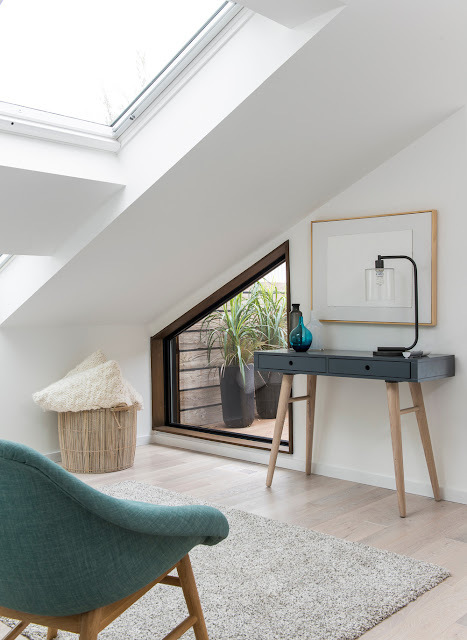 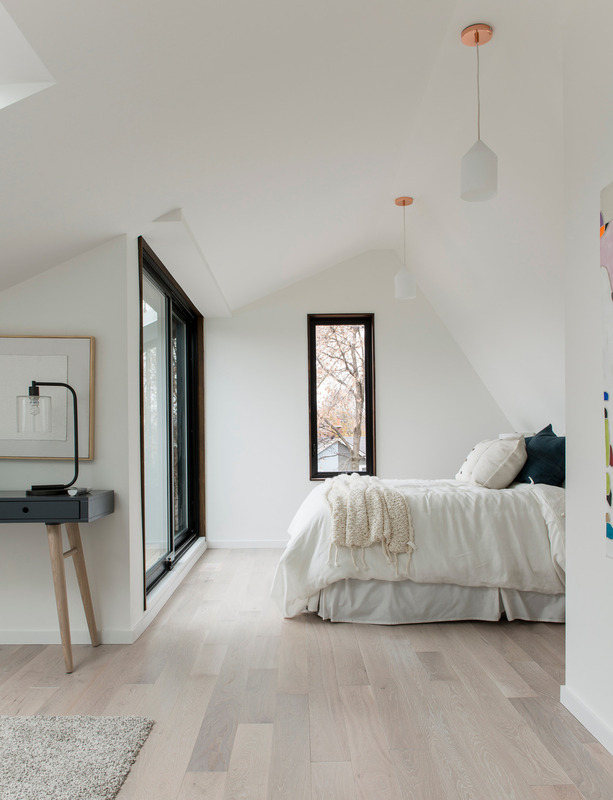 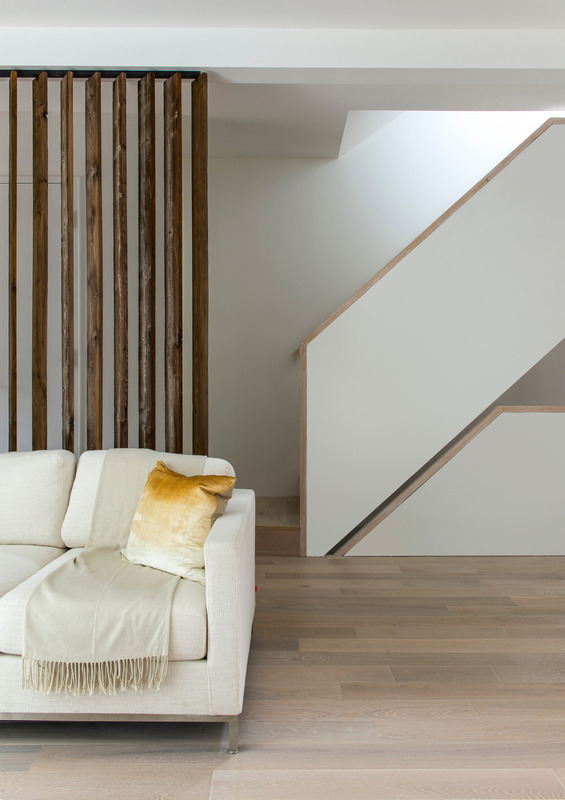 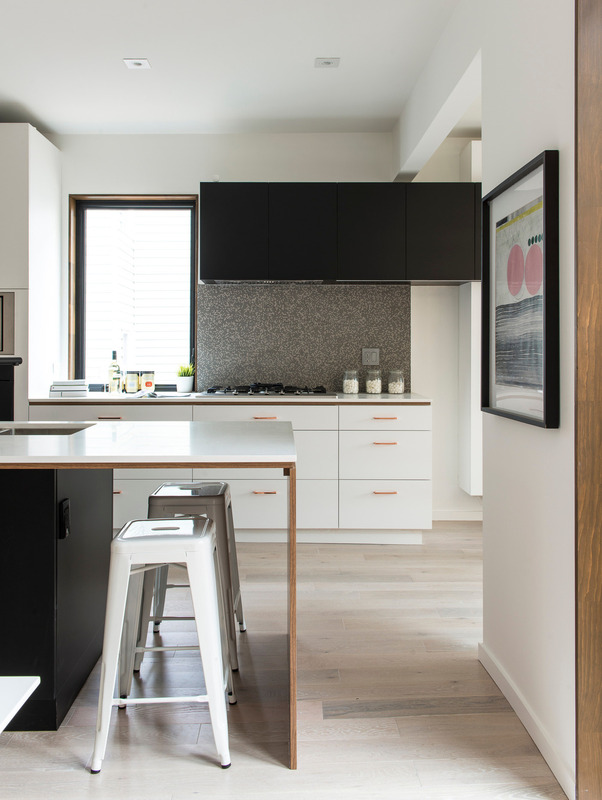 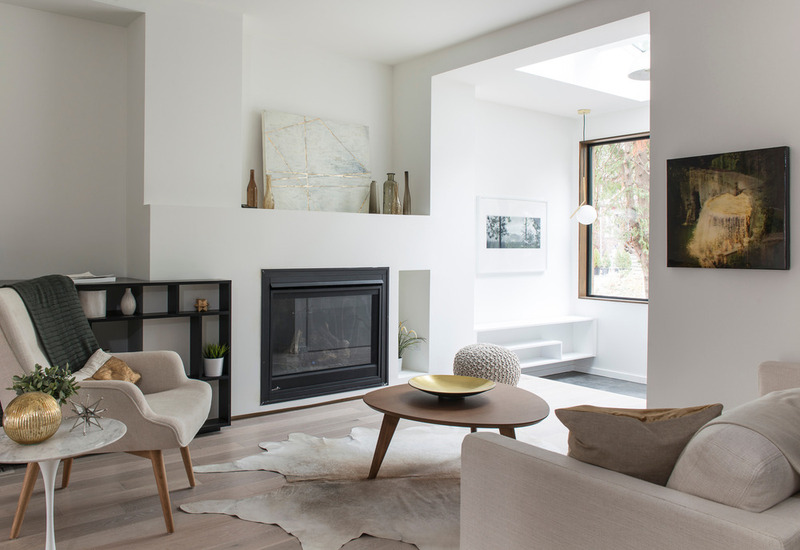 Toronto-based development company baukultur/ca just recently completed the transformation of a 110-year-old house into a contemporary, highly sustainable home and, even though strictly modern, its exterior complements the traditional Beaches neighbourhood. 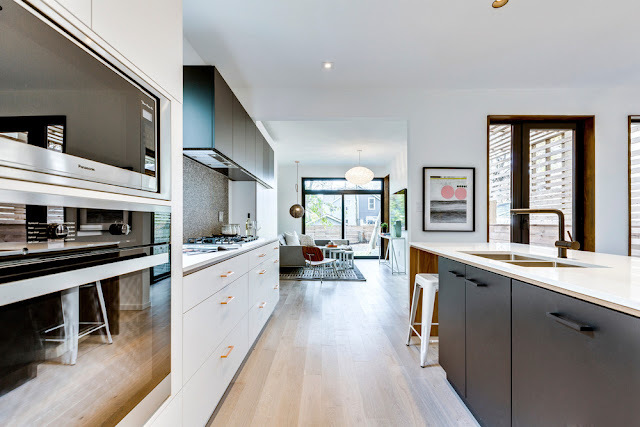 The side walls and roof planes are cladded in precise, white metal panels and provide shelter to a natural but specifically defined wooden cocoon housing the liveable space - protecting it from the exterior elements. 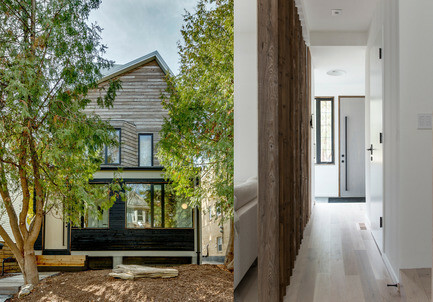 Deep grooves structure the white sidewalls rhythmically vivifying the surface while the walls and roof frame the wooden facades in the front and rear of the building. 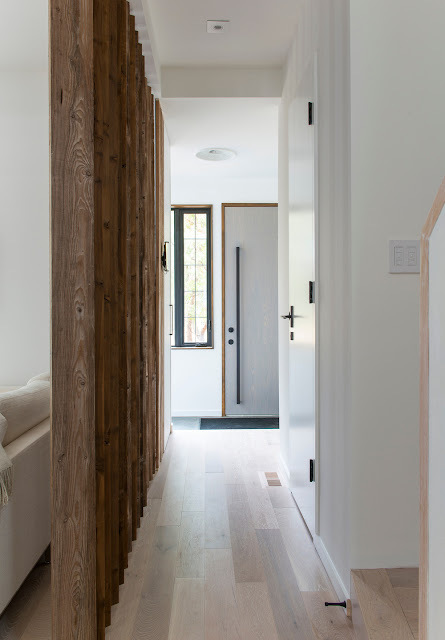 Both front and rear are moulded from thermally modified wooden planks cladded to the substructure with open joints providing another layer and depth to the house. 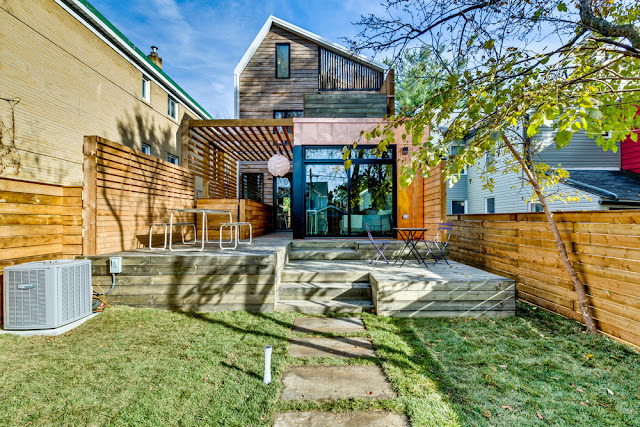 While the front explores the existing configurations of bay window and front porch to recreate both newly with an asymmetrical spin to compliment the shifted geometrical appearance from the street, the back surprises with an addition cladded in standing seam copper.